Blizzard has announced that, as of Tuesday's 1.0.3 update, newly-purchased digital copies of Diablo III will be restricted to the Starter Edition for up to three days. The company says digital purchases require a review period before being fully unlocked to help combat fraud and other illicit activities. Blizzard didn't elaborate, but PC Gamer speculates that the change is an attempt to prevent banned players from quickly reaccessing the game, which could help filter gold sellers and other such spammers. Others suggest fraudsters are purchasing the game and cancelling before the funds transfer. The Starter Edition is limited to Act I (up to the Skeleton King) with a cap set at level 13. Matchmaking is only supported with other Starter Edition players, there's no access to the gold and real money auction houses, and Global Play is unavailable (you'll get Error 12 when trying to connect to other regions). Although Blizzard has good intentions, limiting players to a few hours of content eliminates the primary appeal of buying a digital game: instant gratification. On the bright side, the company says its approval often takes less than three days, but until it implements a more elegant solution, you're probably better off getting the game from a local retailer if you want to play for a lengthy period right away. 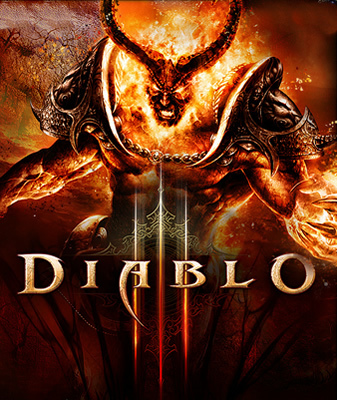 In somewhat related news, Blizzard announced that it will offer refunds to unhappy South Korean Diablo III players. The decision comes nearly a month after Korea's Fair Trade Commission began investigating complaints about the game's server issues. At the time, Blizzard refused compensation, but that violated Korea's consumer protection law, which guarantees refunds for defective products. Blizzard has since addressed the connectivity issues by deploying more servers in the region. Players who remain unsatisfied will be able to apply for a refund between June 25 and July, as long as they're below level 40. Players below level 20 will be able to get a refund within 14 days of purchasing the game from now on. Additionally, Blizzard will offer a 30-day free trial of StarCraft: Wings of Liberty.